Twin Cities Car Service provides high luxury limousine services in the Minneapolis metropolitan area. Our car services include corporate and business transportation with carefully planned transportation solutions to all major airports. We can make your special events, celebrations, tours to casinos or trips around the city memorable in our comfortable and luxurious vehicles. area is the most convenient means of transport since you don’t have to worry about parking or driving. Target Field and Target Center sit in the warehouse district of downtown, so it’s easy to grab a meal and a few drinks at a fancy nearby restaurant such as 112 Eatery before a concert or ballgame. We can take you to Guthrie Theater for a revival of a Eugene O’Neill or Tennessee Williams classic as well as local productions of Broadway hits. We can reserve tickets, transport you one of our beautiful vehicles and plan your itinerary. If you plan to make an escape from the city you can visit one of Minnesota’s famous 10,000 lakes. The Minneapolis metro area hosts hundreds of them. Visit the Minnesota Landscape Arboretum, a public garden that covers more than 1,000 acres. If you wish to go shopping and make this as effortless and as fun as possible, tell your chauffeur to take you to Mall of America. It’s just south of Minneapolis, next to the Minneapolis-St. Paul International Airport. MOA shoppers navigate more than 500 stores that cover 4.3 miles of total storefront, and stop to take the kids through Nickelodeon Universe – seven acres of rides and costumed characters. 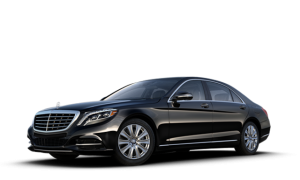 Twin Cities Car Service Minneapolis has been in the luxury ground transportation business for over decade and our area knowledge base and familiarity with Minneapolis traffic characteristics is unmatched. This extensive experience makes our staff confident in providing the best, most reliable and professional limousine transport service. You can count on our car service Minneapolis, for your efficient and elegant ground transportation solutions.